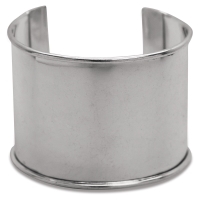 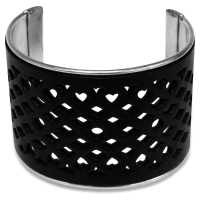 Use your imagination to decorate this metal cuff bracelet from Realeather. 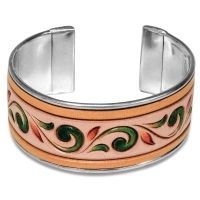 Attach a piece of tooled or punched leather, add beads, and more. 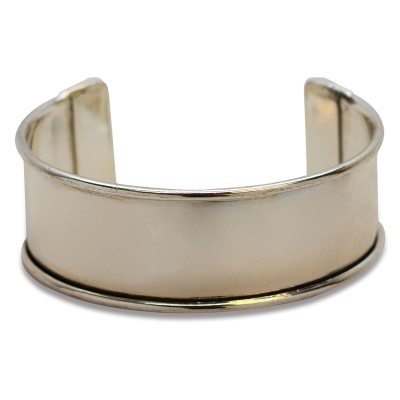 Realeather Leather Bracelet Blanks (sold separately) are a great fit. The nickel cuffs are adjustable. 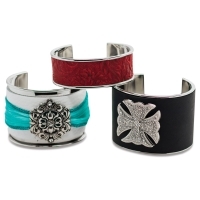 Choose a 1" or 2" width.